Manufactured without yeast, wheat, gluten, soy, milk, egg, fish, shellfish or tree nut ingredients. Suggested Use: As a dietary supplement, take 1 capsule 1 to 4 times daily with meals, or as directed by your health care professional. I've had Fibromyalgia for 40+ years. I can’t remember when I got it except it was very apparent after having mono. Few things have helped my pain over the years. Only the combination of myotherapy, trigger point work which I've learned to do myself, having my thyroid in balance, and taking Fibro-Care have helped. I've been with TyH since their beginning when they first offered Fibro-Care and I read David's story. It is something I have sworn by as if I accidentally run out I know it within three days as my pain will increase. I am always reading the newsletter to learn more. I also miss Kristin Thorton's Network newsletter where I first learned of TyH. In the last year or two, I developed Trigger Finger. From the newsletter I read that curcumin could help inflammation so I picked up some at a local Health Food store. I had 3 cortisone injections and they weren't working, one did for a bit, and was about to have surgery on it. 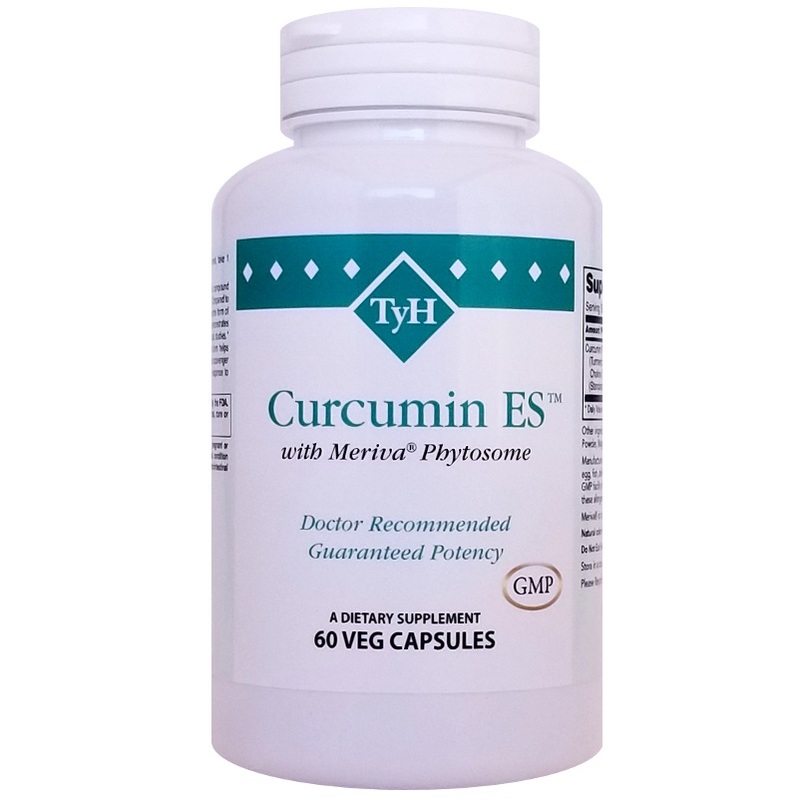 Since I used a basic curcumin, but after reading another issue of the newsletter I decided I'd switch to give TyH Curcumin ES brand with the combination of Meriva a try. I noticed my Trigger Finger improve after about a month with one capsule a day. I am delighted I have avoided surgery and have had continued improvement since I added a second pill a day, and an occasional third keeps things really limber. I hardly notice anything now as my thumb moves easily. It has been a nice improvement that wasn't even part of the article that encouraged me to try it. Thank you, TyH!!! Now, I'm thinking it was an obvious benefit, should be studied, and suggested it/passed the info on to my surgeon. I'd encourage anyone with a trigger finger or other inflammation to give Curcumin ES a try. Worked for me!! !